As a runner and yogi, I try to lead a life that leads to optimal health and wellness. I run, do yoga, drink lots of water, and try to eat clean. Now, this doesn’t mean I’m perfect by any means. I screw up all the time in this quest for a healthy lifestyle- in the form of peanut M&M’s, wine, coffee, and other crap that’s placed in front of me. But, I try. However, I do have one vice that has the power to erase all of my good efforts. What is it? (Like many people in this crazy world) I have a MONKEY MIND that stresses me out and needs some major quieting. The pressure to multi task, work stress, and the presence of so many electronic devices plague me just as much as the next guy or gal. The bottom line is, we all have so much stimuli thrown at us that we tend to go into overdrive, and literally fry our minds (each and very day). Enter the need for meditation, and the reason why so many experts claim that meditation is the key to living a happy, fulfilled, and peaceful life. To combat my monkey mind, I have found that running and yoga can be great ways to practice meditation and mindfulness. I know they both have the power to help me reduce stress, and handle whatever life throws my way. However, I often run with friends or while listening to podcasts (thereby choosing to forgo the silent meditation), and while I love yoga and practice often, I’m the worst at taking advantage of its meditation benefits. For example, throughout class, my teacher will remind us that we are there for a moving meditation. 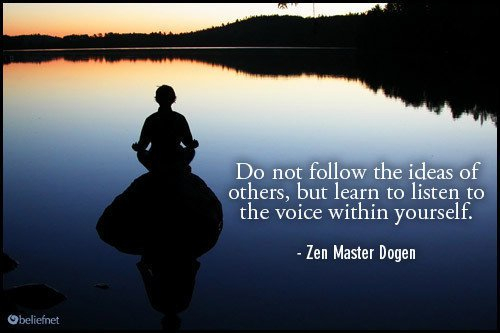 We should “look within” and “turn our minds off,” thinking only of our practice. Consequently, I try to focus on the pose I’m in, but seconds later I’ll have the following thoughts: What should I make for dinner? I hate cooking. Should I make that cashew dish again? Enter my instructor’s directions for the next pose, and I’ll beg my monkey mind to zip it. Then, Hmm, I wonder if I made the cashew thing, if I’d have enough for lunch tomorrow. Speaking of tomorrow- should I wear my new skirt? Will it be too cold? I think you get the idea. While yoga has been great for my flexibility and general well being, it hasn’t quite cured my monkey mind. Plus, I still get stressed out and can’t quite bring that Zen feeling off the mat. Meditation is about mind training. Every day, we’re tossed around by our minds: thoughts come up to bother us, to remind us of things we have not done, or other things we should be doing; emotions such as anger and worry upset us. Stress boils up in us. We are constantly bullied by our minds. Anamaya offers relief from all this. Further, they explain that when we’re stressed, we rarely make good decision- all we want is to get it done, and get away from the stress. 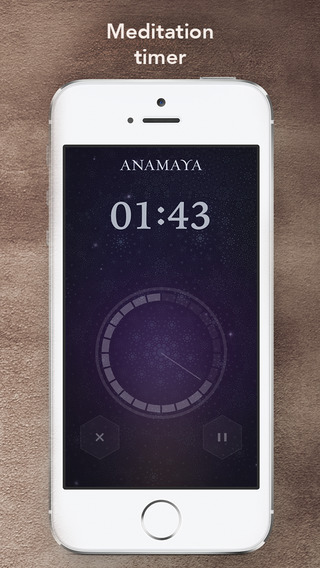 Anamaya is a comprehensive meditation course for life on-the-go. Featuring over 350 fully-guided meditations with mindfulness and visualisation exercises.The course covers 11 meditation focus areas, including worry, anxiety, stress, pain, sports and pregnancy, with more to come. Plus, learning resources covering the science and psychology of meditation and a beautiful independent meditation timer. 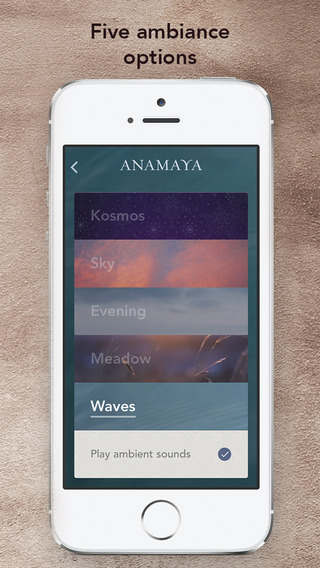 Anamaya has a TON (and by this I mean hundreds) of options for your meditation experience. Why are there a ton of options? Because it’s a meditation course – the makers don’t want this to be just another app on your phone or iPad that falls into the land of lost apps; they want you to make it (and thereby meditation) a part of your life. That’s the whole point. Like all other healthy habits- exercising, eating well, getting enough rest- these aren’t short term fads we should try until we get results. They are activities we need to adopt for the long run. Meditation is no different. 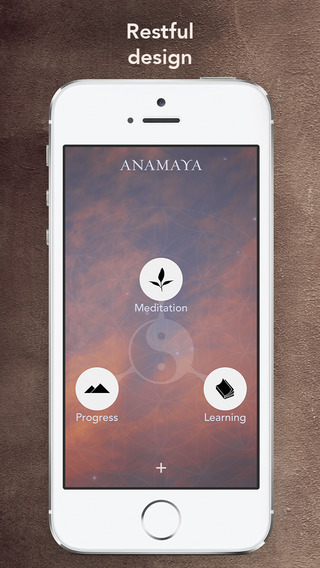 So, if you’re looking for some help along the way to peace and enlightenment, give Anamaya a try. From the narrator’s soothing voice to the beautiful music to the course’s thorough and easily navigated format… this app is worth every penny. If you’d like even more details, head to their website and see how the app has the power to help you lead a more productive, calm life. Visit the App store today and get those monkey minds in check, folks! First of all, I just need to say that up until about six months ago, I really didn’t cook, care about cooking, or even really know what to do in my kitchen. I think I ate healthily enough – I just didn’t really cook. Rather, I existed on things like salads with tons of vegetables and then some type of protein sprinkled on. I didn’t really think about trying to cook anything new or inventive. Then my husband’s doctor had him adopt a gluten-free, soy-free, and dairy-free diet. Incidentally, the new diet has been miraculous for my husband. I had been dabbling in veganism myself at the time, but with my husband’s new diet, it suddenly seemed like there was nothing we both could have & enjoy. I wanted to learn what we could eat that was actually tasty and easy to make. At about the same time, I discovered podcasts and started listening to some great vegan, plant-based shows – One Part Plant and No Meat Athlete. After hearing an interview with Heather Crosby on both podcasts, I knew I needed to look into her cookbook and website. 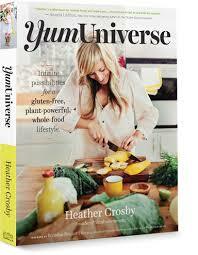 Heather is the founder of a fabulous plant-based eating website, Yum Universe. Here you’ll find a plethora of plant-based, gluten-free recipes as well as healthy living tips. The design of the site is crisp, clean, and so aesthetically pleasing you’ll want to surf around even if you can’t imagine eating a single vegetable, much less base your diet around plants. If this is you- a veggie hating fool- you’ll probably want to read Heather’s story. It turns out she hated veggies as a child, and didn’t eat her first salad until age 19. Her transformation to a plant-based, gluten-free expert came when she was faced with health issues that conventional medicine couldn’t heal. Visit yumuniverse.com to find plant-based eating tips and discover other resources for clean eating and living. * Start by eating more whole, plant-based foods. Do this as often as you can. * Educate yourself on what foods are processed. Keep those foods out of your body. Begin to understand when food marketers are giving you a run for your money by heavily promoting foods that are not good for us. * Forget dieting altogether. (Yes, she really says this.) Do this by making a transformation in your diet that puts eating for health and eating for enjoyment in the same arena. When you learn how to eat, and eat a plant-powerful diet, the pounds will melt away. Are you in? 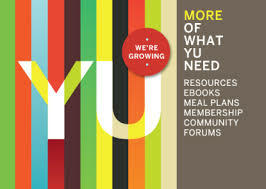 Find out all of these great tips and more in Heather Crosby’s Yum Universe. 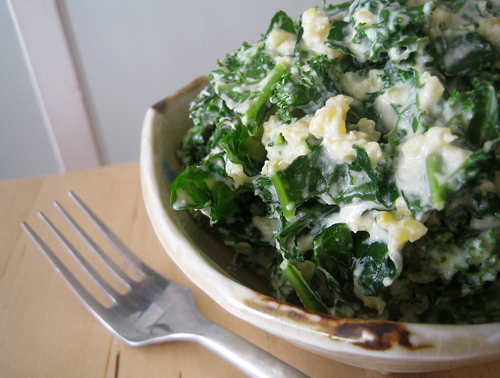 When you get it, the first recipe you’ll want to try is the “Creamy Quinoa & Kale Salad”- it’s worth it to buy the book, just so you can have this crowd-pleasing recipe. It’s a super easy (and economical) meal to make that will impress! It passed the test of four teenagers (none afraid to say when they don’t like something) and one husband. They all thought I bought it, which as a non-cooker, is quite a compliment. Now, go get your Yum on.